Strombus gigas commonly known as queen conch is a large, marine and gastropod mollusk. Most of the mollusks including queen conch belongs to class Gastropoda and the name was translated from Latin as stomach foot. Other mollusks include clams, oysters, squid and octopus. The word mollusks are derived from Latin word molluscs which means soft. Mollusks belong to the phylum of invertebrates with more than 100000 known species. Queen conch is soft bodied animal having external and spiral shaped shell with interior glossy pink or orange. They live in sand, coral reef and seagrass bed. Generally, it is found in warm and shallow water not deeper than 70 feet (21 meters) throughout Gulf of Mexico and Caribbean Sea ranging as far north as Bermuda and as far south as Brazil. It reaches full size in 3-5 years of age and grows to maximum length of 12 inches long weighing 5 pounds. It is a long lived species reaching 20 to 30 years old. The estimated lifespan is about 40 years. 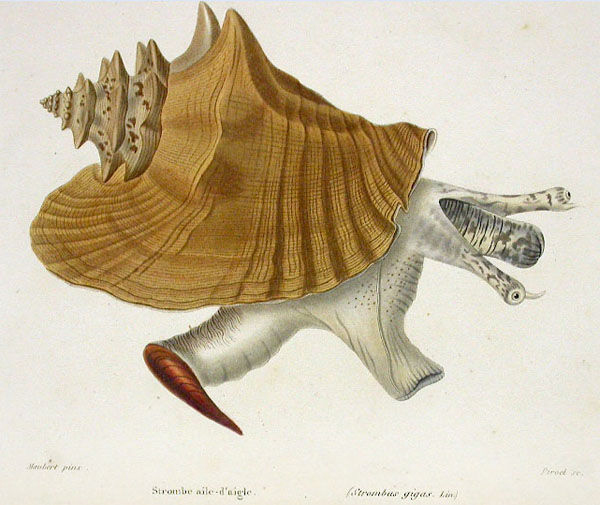 Adult has large, heavy and solid shell with knob like spines on shoulder, a flared thick outer lip featuring pink colored aperture. In younger specimens, flared lip is absent completely. An external anatomy of soft parts of Lobatus gigas is identical to other snails in the same family. It has two eyestalks with well-developed eyes, long snout and additional sensory tentacles, corneous sickle shaped operculum and strong foot. It serves as home to various types of commensal animals such as porcelain crabs, slipper snails and cardinal fish. It may include parasites named coccidians. Queen conch is hunted and consumed by several species of large predatory sea snails, also by crustaceans, starfish and vertebrates such as sea turtles, fish and humans. 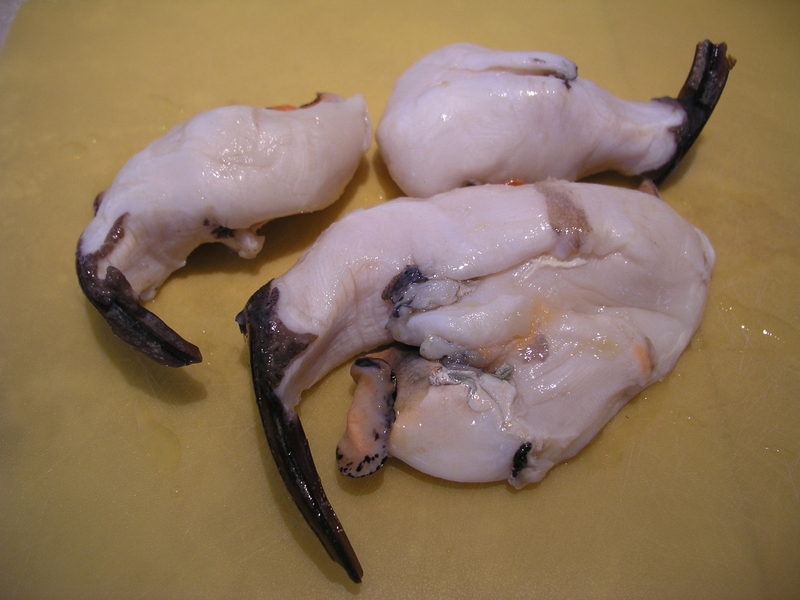 Sea snail’s meat is eaten by humans in various dishes. Shell is sold as memento and used as a decorative object. It has been used historically by indigenous Caribbean people and Native Americans to create various tools. It is protected under Convention on International Trade in Endangered Species of Wild Fauna and Flora (CITES) agreement in which it is recorded as Stombus gigas. It is due to extreme overfishing as meat is a vital food source for humans. CITES regulation is outlined to halt export of meat of this species and the commercial export of shells is used as decorative objects. Fertilization is internal. The female spawns about thousands of eggs in long tubular egg mass. Spawning occurs during summer. Large egg masses take upto 36 hours to produce and hold from 310000 and 750000 eggs. Egg masses are covered with sand for camouflage and larvae appear after 5 days. During a season, single female spawn between six to eight times. Larvae are called veligers, float in open ocean and feeds on phytoplankton and drift considerable distance from site where they emerged though evidence is limited. Later between 18 and 40 days, larvae settle into sand and metamorphose into adult form. Adult migrate to deeper water when their size increases and seasonal migrations occur during summer months. Conch moves by unusual hopping motion where foot is thrust against bottom which causes the shell to rise and thrown forward. They are active mostly during night and graze on detritus and algae with the use of extendable proboscis. Gastropod produces large spiral shell having spines which are though for protection. Shell has wide and fared lip which is rich pink in color. Within shell, gastropod’s head have two pair of tentacles. Larger ones carry eyes whereas smaller pair provides sense of touch and smell. Large foot is visible at lip of shell. In recent years, large and beautiful shell is prized by tourists. Usually adult shell is 15 to 31 cm (6-12 inches) long and maximum size reported is 13.9 inches (35.2 cm). Shell is very heavy and sold having 9-11 whorls and widely flaring & thickened outer lip. The shell of adult snails has structure known as stromboid notch is present on edge of lip. This notch is not well developed in species as it is in various other species in same family. The shell feature is nonetheless visible in adult dextral specimen. Spire is higher than in the shell of other strombid snails such as closely associated and even larger goliath conch native to Brazil. The glossy finish around aperture of adult shell is primarily colored in pink shades. Usually the pink glaze is pale and may show the coloration of cream, yellow or peach but it could be tinged sometimes with deep magenta shading to red. Periostracum is a protein layer in outermost part of shell surface which is thin and tan or pale brown in color in this species. The morphology of overall shell is not determined solely by animal genes; environmental conditions such as food supply, geographic location, depth, temperature and biological interactions such as predation exposure can affect it greatly. Juveniles form heavier shells when exposed to predators in comparison that are not exposed to predators. Conch develops thicker and wider shells having fewer but longer spines when living in deeper water. The shell of small juveniles is different in appearance from adult. The shell of juvenile has simple and sharp lip which provides hell a biconic and conical outline. Subadult shells possess flared lip i.e. very thin. Until death, flared outer lip of adult shell increases constantly in thickness with age. Conch is gonochoristic meaning each individual snail is either distinctly male or female. Usually females are larger in comparison to males in natural population having both sexes existing in similar proportion. The internal fertilization is occurred. In gelatinous strings, female lay eggs that could be as long as 75 feet. It is layered on patches of bare sand and seagrass. Egg strings are long and has sticky surface that allows them to agglutinate and coil, combining with surrounding sand forming compact masses. The shape is defined by anterior portion of outer lip of female’s shell as they are layered. Each egg masses are fertilized by multiple males. Number of eggs per egg mass varies greatly which depends on environmental conditions such as temperature and food limitation. In each season, females produce average 8 to 9 egg masses each containing 180000 to 460000 eggs but numbers could increase depending upon conditions. During reproductive season, female spawn multiple times lasting from March to October with peak activity occurring from July to September. After the eggs hatch, two lobed veliger emerges and spend several days developing in plankton and primarily feeding on phytoplankton. About 16 to 40 days of hatching, metamorphosis occurs. Fully grown protoconch measures 1.2 mm high. Individuals spend rest of its lives after metamorphosis in benthic zone remaining buried during its first year of life. It reaches sexual maturity at age of 3-4 years weighing 5 pounds measuring 180 mm shell length. Usually individuals live upto 7 years in deeper waters. Its lifespan reaches from 20 to 30 years and maximum lifetime is estimated to reach about 40 years. Due to their thickened shell, its mortality rate is considered to be lower in matured conchs but is substantially higher for juveniles. 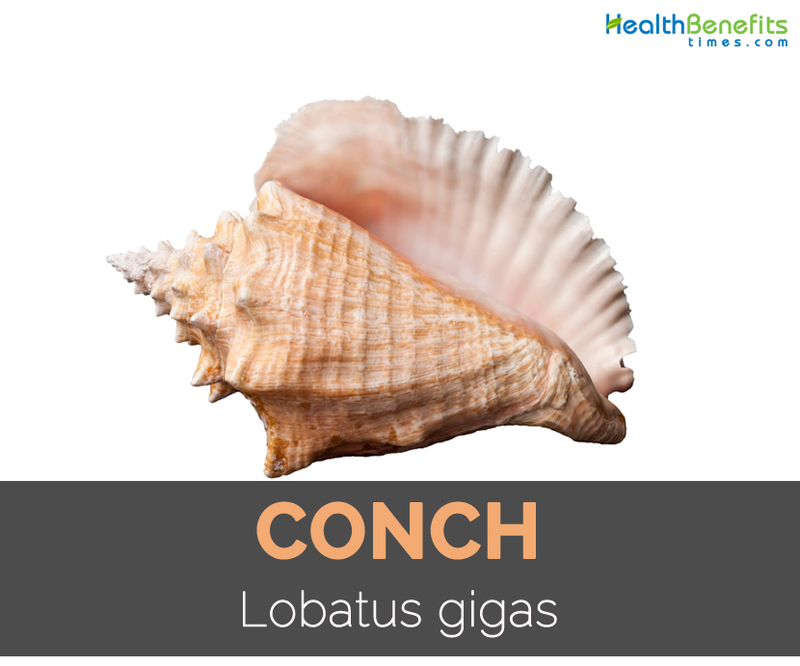 Conch (Lobatus gigas) is regarded as a herbivore and other Strombidae feeds on macroalgae which includes red algae, unicellular algae and seagrass and also algal detritus. It prefers green macroalga (Batophora oerstedii). In Chinese herbalism, Conch shell is used for treating menopause. In Ayurvedic medicine, it is known for digestive and antacid properties. Blowing conch shell regularly helps to correct speech of stammering children. It is also believed that blowing conch shell regularly clears blockages in heart and also improves respiratory system. Store water in conch overnight and in the morning use this water to massage skin. 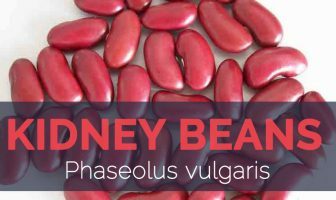 It cures skin problems such as allergies, rashes, white spot and skin diseases. Store water overnight in conch and add rosewater to it in the morning. Wash hair using this mixture. It helps to restore natural color of hair within few days. Drink 2 spoons of water stored in conch overnight for treating indigestion, stomach pain and laceration in intestines. Gently rub with conch before sleep for five minutes per day to cure dark circles. Blowing conch is beneficial for bladder, urinary tract diaphragm, lower abdomen, neck and chest muscles. It also exercises thyroid glands and vocal cords. People with hernia, high blood pressure and glaucoma when blown conch causes extra pressure on the organs. Avoid it. Learn to blow conch from an expert because careless blowing damages eye and ear muscles and rupture diaphragm. Conch meat is consumed minced, marinated, raw and copped in various dishes such as chowder, salads, soups, fritters, pates, stew and local recipes. It could be added to burgers and gumbos. 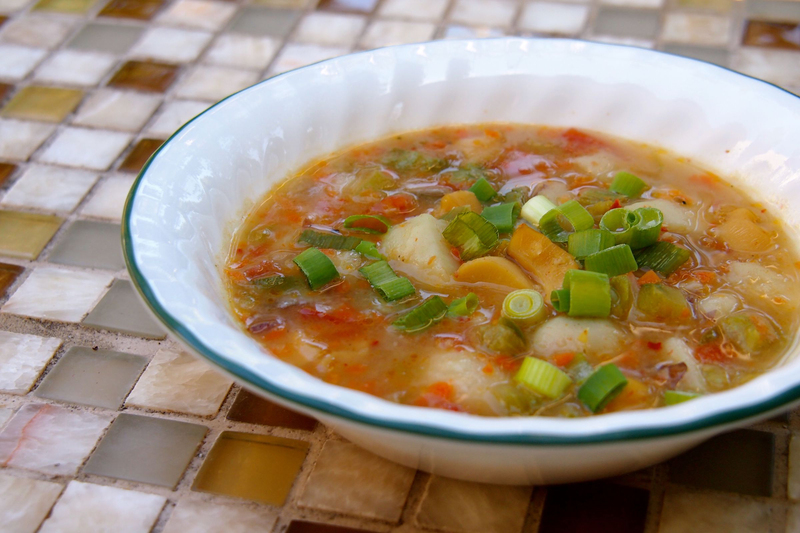 In Jamaica, it is added to stews, soups and curries. 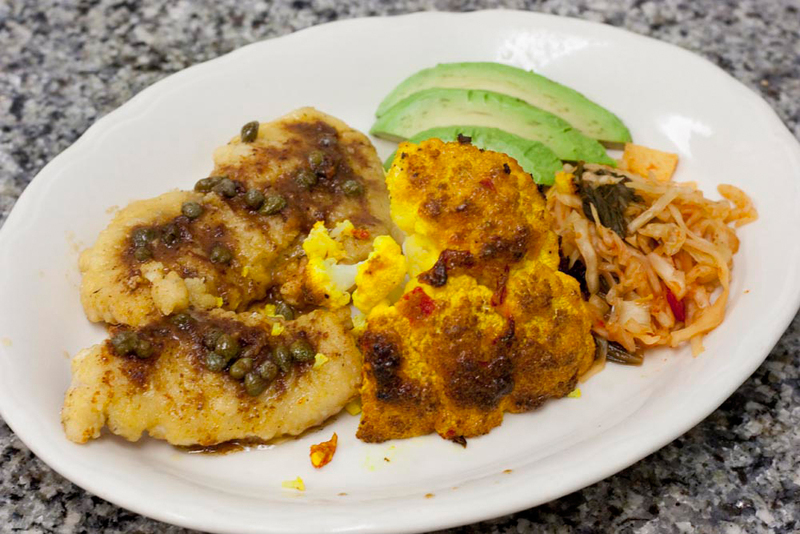 In Grenada, Dominican Republic and Haiti, it is consumed in spicy soup and curries. In Puerto Rico, conch is marinated in lime juice, vinegar, olive oil, onions, green peppers and garlic. Use it to fill empanadas. Delicately fried meat is used in chowders. Sometimes shells are used as decoration such as in cameo making or as decorative planters. In Classic Maya art, conchs are used as ink and paint holders, trumpets, bugles and hand weapons. 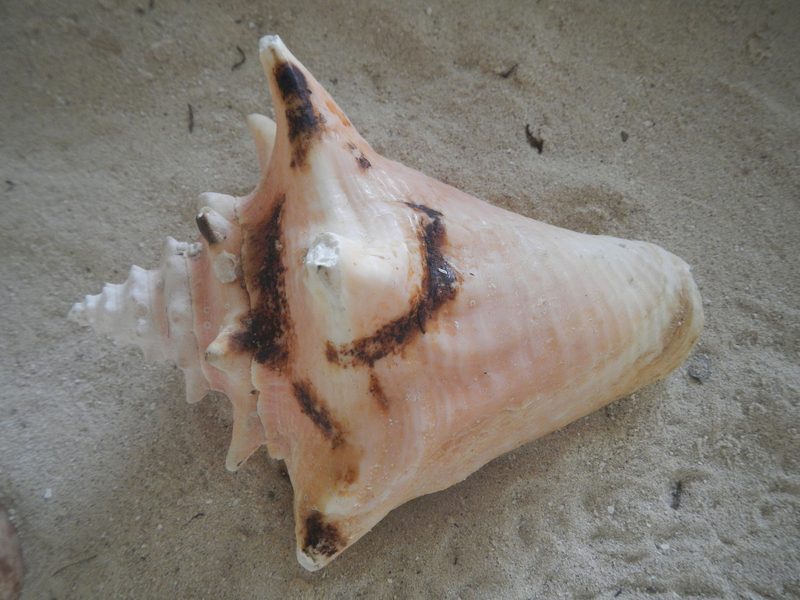 In various cultures, Conch shells are used as shell money. In African-American and Afro-Caribbean cemeteries, shells of conch are placed on graves. 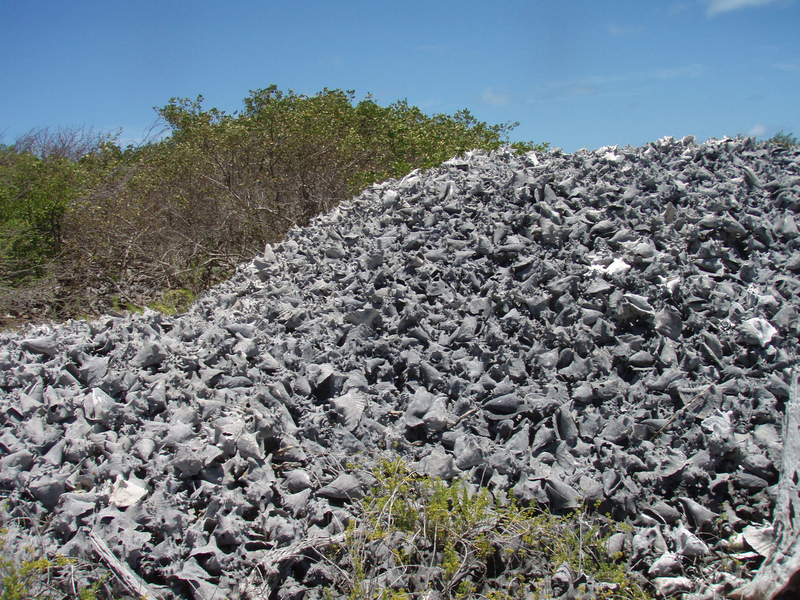 Occasionally, conch shells are used as building material wither as a bulk for landfill or in place of bricks. In Tamil Nadu, conch is blown to ward off evil spirits during funerals. Calories in 1 cup, sliced (127 g) 165 Kcal. Calories 165 Kcal. Calories from Fat 13.68 Kcal.